Campground memberships allow you to pre-plan your RV holiday. Thousand Trails is a campground membership organization that operates somewhat like a hotel or condo timeshare. Members purchase passes that allow them a certain number of free nights camping per year in any of the Thousand Trail campground resorts in their pass territory. There are a total of 81 resorts in the Thousand Trails system, all able to accommodate RVs from the small pop-up campers to the bus sized Class-A rigs. As with most campground memberships, there are rules and regulations. 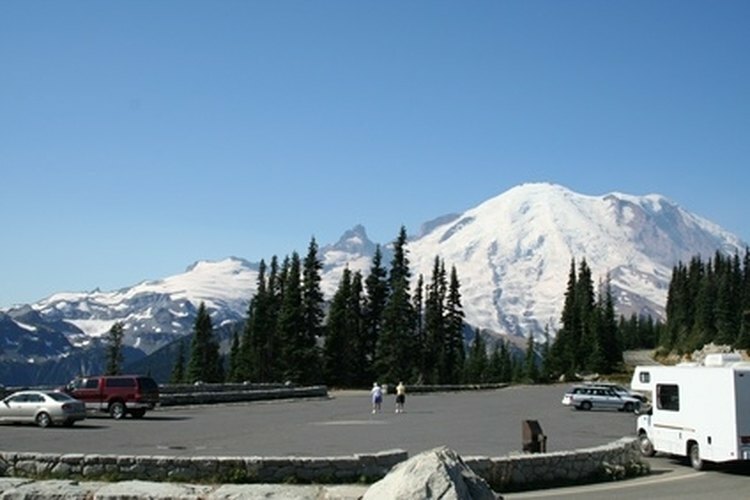 Thousand Trails campgrounds are divided into four geographical regions, the Northwest, Southwest, Northeast and Southeast. Clients have the option to purchase a pass for one zone, both the western zones, both eastern zones or for all four zones. In addition to the annual membership fee, an enrollment fee is charged for the first year. The enrollment fee amount is based on the number of zones you have selected. When the pass is renewed, only the annual membership fee is charged unless you increase the number of zones your pass covers. Members are allotted 30 nights of free camping in any of the Thousand Trails campgrounds covered by your Zone Parking Pass. Additional nights are charged a small service fee. Members may stay up to 14 consecutive nights at any one campground based on availability. Reservations are advised, particularly for longer stays and during holiday periods. Keep in mind that even though camping is complimentary with membership (first 30 days), last-minute cancellations or no shows will be charged cancellation fees. Campers who stay at any Thousand Trails campground for more than four consecutive nights must wait at least one week before camping at another resort in the chain. The Zone Parking Pass is non-transferable. The pass covers the purchaser, the spouse if married and up to two unmarried children age 23 and under who are dependents of the purchaser. If the pass is purchased by a married couple, the surviving spouse inherits the pass. Guests may camp with members but must be registered with the camp office. If a member's overnight guests arrive separately in their own car, there is an additional fee. That fee is set by the individual campground. If everyone arrives in the same RV, the guest’s stay is complimentary. Zone Park Passes are automatically renewed each year and charged to the member’s credit card. If you wish to cancel the membership, Thousand Trails must be advised in writing at least 60 days before the renewal date. Likewise, Thousand Trails can cancel your pass at the yearly expiration date by sending you written notice.